The breakup of Yugoslavia in 1991 deprived the economy of North Macedonia, then its poorest republic (only 5% of the total federal output of goods and services), of its key protected markets and large transfer payments from Belgrade. 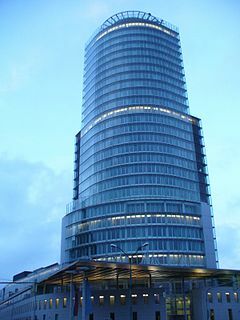 An absence of infrastructure, United Nations sanctions on its largest market the Federal Republic of Yugoslavia, and a Greek economic embargo hindered economic growth until 1996. Worker remittances and foreign aid have softened the subsequent volatile recovery period. GDP has increased each year except in 2001, rising by 5% in 2000. However, growth in 1999 was held down by the severe regional economic dislocations caused by the Kosovo war. Successful privatization in 2000 boosted the country's reserves to over $700 million. Also, the leadership demonstrated a  continuing commitment to economic reform, free trade, and regional integration. The economy can meet its basic food needs but depends on outside sources for all of its oil and gas and most of its modern machinery and parts. Inflation jumped to 11% in 2000, largely due to higher oil prices. 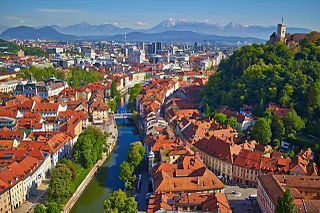 North Macedonia experiences one of Europe's biggest growth rates at an average of 4% (even during the political crisis) making it comparable to nations such as Romania and Poland. North Macedonia's economy has almost always been completely agricultural in nature from the beginning of the Ottoman Empire when it was part of the District of Üsküp and Province of Salonika. 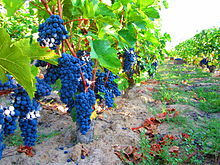 It concentrated on pasture farming and vineyard growing. Opium poppy, introduced into the region in 1835, became an important crop as well by the late 19th century, and remained so until the 1930s. The role of industry in the region's economy increased during the industrial age. North Macedonia was responsible for large outputs of textiles and several other goods in the Ottoman Empire. However, outdated techniques to produce the goods persisted. The stagnation of the Macedonian economy began under the rule of the Kingdom of Serbia. When World War II ended, the local economy began to experience revitalization by way of subsidies from Federal Belgrade. The subsidies assisted North Macedonia to redevelop its lost industry and shift its agricultural-centered economy to an industry-centered economy with new hearts of industry emerging all over the country in Veles, Bitola, Shtip and Kumanovo. Previously, Skopje was the only industrial centre in North Macedonia, this expanded to several other cities during Socialist Yugoslavia. After the fall of Socialist Yugoslavia, the economy experienced several shocks that damaged the local economy. Starting with the Western embargo on the Yugoslavian common market, and ending with the Greek embargo on North Macedonia over the country's former name, Republic of Macedonia. The economy began to recover in 1995 and experienced a full recovery after the 2001 insurgency by ethnic Albanians. North Macedonia's GDP grew by an average of 6% on a yearly basis until the 2008 economic crisis when its economy contracted with the rest of the world. The global crisis had little impact on the country due to Macedonian banks' stringent rules. North Macedonia today maintains a low debt-to-GDP ratio and is experiencing a revitalized investment interest by companies from Turkey, Algeria, Albania, and others. Pelagonija, breadbasket region of North Macedonia. North Macedonia is vulnerable to economic developments in Europe - due to strong banking and trade ties - and dependent on regional integration and progress toward EU membership for continued economic growth. At independence in September 1991, North Macedonia was the least developed of the Yugoslav republics, producing a mere 5% of the total federal output of goods and services. The collapse of the Socialist Federal Republic of Yugoslavia ended transfer payments from the central government and eliminated advantages from inclusion in a de facto free trade area. An absence of infrastructure, UN sanctions on the downsized Yugoslavia, and a Greek economic embargo over a dispute about the country's constitutional name and flag hindered economic growth until 1996. Since then, North Macedonia has maintained macroeconomic stability with low inflation, but it has so far lagged the region in attracting foreign investment and creating jobs, despite making extensive fiscal and business sector reforms. Official unemployment remains high at 24.6% (2015, Q4), but may be overstated based on the existence of an extensive gray market that is not captured by official statistics. In the wake of the global economic downturn, North Macedonia has experienced decreased foreign direct investment, lowered credit availability, and a large trade deficit. However, as a result of conservative fiscal policies and a sound financial system, in 2010 the country credit rating improved slightly to BB+ and was kept at that level in 2011. Macroeconomic stability has been maintained by a prudent monetary policy, which keeps the domestic currency pegged against the euro. As a result, GDP growth was modest, but positive, in 2010 and 2011, and inflation was under control. Latest data from North Macedonia's State Statistical Office show that overall, output for 2012 dropped by 6.6 percent compared to 2011. Ohrid is a popular tourist destination in North Macedonia. Real GDP in the first half of 2011 increased by 5.2%. This robust growth was mainly driven by 23.6% growth in the construction sector; 13.2% in mining, quarrying, and manufacturing; 12.4% in wholesale and retail trade; and 4.2% in transport and communication services. Industrial output in the first 8 months of 2011 was 7.5% higher than in the same period of 2010. Low public and external debt and a comfortable level of foreign exchange reserves allowed for further relaxation of monetary policy, with the reference interest rate of the Central Bank decreasing to 4%. Due to rising prices for energy, fuel, and food on international markets, inflation increased in the first half of 2011, but later decreased to an annualized rate of 3.4% at the end of September. The official unemployment rate dropped to 24.6% in the fourth quarter of 2015, but remained one of the highest in Europe. Many people work in the gray economy, and many experts estimate North Macedonia's actual unemployment is lower. The government budget has generally kept within projections. The budget deficit at the end of August 2011 reached about 2% of GDP, and fiscal authorities seemed committed to keeping it under the projected target of 2.5% of GDP by the end of the year. In addition to 220 million euros (approx. $298 million) drawn from an IMF Precautionary Credit Line (PCL) in March, financing mostly came from domestic borrowing. However, by the end of the year a financing gap remained of about 50 million to 60 million euros (approx. $67 million to $81 million), which the government plans to cover by borrowing from international capital markets, supported by a policy-based guarantee by the World Bank. The central government's public debt remained low at 26% of GDP, but represents a gradual increase from previous years. Despite lowering the Central Bank bills rate, the Central Bank has not changed liquidity indicators for banks or the reserve requirement since 2009, curbing credit growth to 7.5% in the first three-quarters of 2011. Nikola Gruevski says the government will pay off its entire debt to the private sector by February 2013 in order to improve the economy's overall liquidity. North Macedonia's external trade struggled in 2010 due to the slow recovery from the economic crisis of its main trading partners, particularly EU members. Starting from a very low base, export growth in the first 8 months of 2011 reached 41.7%, topping import growth of 36.8%. The trade deficit has widened to 18.3% of GDP, approaching the end-year target of 21.9% of GDP. At the same time, the current account balance deficit significantly improved and the end-year projection was revised upward to 5.5% of GDP. This was due primarily to a 4.4% higher inflow of current transfers, mostly during the summer, and came despite a poor level of foreign direct investment (FDI) of only $237.2 million by end-July 2011. Foreign currency reserves remained at about $2.6 billion, a level that comfortably covers 4 months of imports and about 110% of the country's short-term debt. In October 2010, the World Bank Board of Directors approved a new Country Partnership Strategy (CPS) with North Macedonia for the period 2011-2014. This CPS will provide the country assistance of about $100 million in funding for the first 2 years to improve competitiveness, strengthen employability and social protection, and increase the use of sustainable energy. This assistance also includes a commitment of $30 million in direct budget support in the form of a policy-based guarantee by the World Bank to the government to facilitate its access to financing from international capital markets, a process that had been started as of November 2011. North Macedonia became the first country eligible for the IMF’s Precautionary Credit Line in January 2011. This program gives North Macedonia a line of credit worth 475 million euros (about $675 million) over 2 years, intended to be accessed only in case of need brought about by external shocks. The credit line was approved after extensive consultations with the IMF in October and December 2010. The IMF expects that there will be no additional withdrawals from the PCL. North Macedonia has the best economic freedom in the region, according to the 2012 Index of Economic Freedom, released in January, 2012 by the conservative U.S. think tank Heritage Foundation and the Wall Street Journal. Graphical depiction of North Macedonia's product exports in 28 color-coded categories. North Macedonia remains committed to pursuing membership in the European Union (EU) and NATO. It became a full World Trade Organization (WTO) member in April 2003. Following a 1997 cooperation agreement with the EU, North Macedonia signed a Stabilization and Association Agreement with the EU in April 2001, giving North Macedonia duty-free access to European markets. In December 2005, it moved a step forward, obtaining candidate country status for EU accession. North Macedonia has had a foreign trade deficit since 1994, which reached a record high of $2.873 billion in 2008, or 30.2% of GDP. Total trade in 2010 (imports plus exports of goods and services) was $8.752 billion, and the trade deficit amounted to $2.149 billion, or 23.4% of GDP. In the first 8 months of 2011, total trade was $7.470 billion and the trade deficit was $1.778 billion. A significant 56.5% of North Macedonia's total trade was with EU countries. North Macedonia's major trading partners are Germany, Greece, Serbia, Bulgaria, Russia, and Italy. In 2010, total trade between North Macedonia and the United States was $116.6 million, and in the first 8 months of 2011 it was $65 million. U.S. meat, mainly poultry, and electrical machinery and equipment have been particularly attractive to North Macedonia importers. Principal Macedonian exports to the United States are tobacco, apparel, iron, and steel. North Macedonia has bilateral free trade agreements with Ukraine, Turkey, and the European Free Trade Association (EFTA—Switzerland, Norway, Iceland, and Liechtenstein). Bilateral agreements with Albania, Bosnia and Herzegovina, Croatia, Serbia, Montenegro, Rep. of Kosovo, and Moldova were replaced by membership in the Central European Free Trade Agreement (CEFTA). North Macedonia also has concluded an “Agreement for Promotion and Protection of Foreign Direct Investments” with Albania, Austria, Bosnia and Herzegovina, Bulgaria, Belarus, Belgium, Luxembourg, Germany, Egypt, Iran, Italy, India, Spain, Serbia, Montenegro, People’s Republic of China, Republic of Korea, Malaysia, Poland, Romania, Russia, Slovenia, Turkey, Ukraine, Hungary, Finland, France, the Netherlands, Croatia, Czech Republic, Switzerland, and Sweden. ^ a b "Europe :: Macedonia". The World Factbook. Central Intelligence Agency. Retrieved 19 February 2018. ^ "Macedonia, FYR". worldbank.org. World Bank Group. Retrieved 19 February 2018. ^ "Gini coefficient of equivalised disposable income - EU-SILC survey". ec.europa.eu. Eurostat. Retrieved 11 March 2019. ^ "Ease of Doing Business in Macedonia, FYR". Doingbusiness.org. Retrieved 1 November 2018. ^ a b Cite error: The named reference http://www.stat.gov.mk/KlucniIndikatori_en.aspx was invoked but never defined (see the help page). ^ "External trade, January - April 2017" (PDF). Republic of Macedonia. 2017. Retrieved 21 April 2017. ^ a b c d e f g h i "The World Factbook". CIA.gov. Central Intelligence Agency. Retrieved 11 March 2019. ^ "Пад на државниот и јавниот долг во 2017 година, прв од 2009 година" [Decline of public and public debt in 2017, the first since 2009] (in Macedonian). Republic of Macedonia. Retrieved 18 February 2018. ^ "Sovereigns rating list". Standard & Poor's. Retrieved 28 March 2014. ^ "Doing Business in Macedonia, FYR 2013". World Bank. Archived from the original on 23 October 2012. Retrieved 21 October 2012. ^ "The World Factbook — Central Intelligence Agency". www.cia.gov. Retrieved 22 July 2017. ^ Македонскиот опиум бил најбаран и се извезувал во цел свет – еве зошто престанало производството (Macedonian opium was top quality and was exported all over the world. Here's why its production ceased.) 2013-07-05. Source of this publication is given as: Vladan Jovanovic (Владан Јовановиќ), „Македонски опиум: за финансиските и политичките размери на феноменот (1918-1941)“ (Macedonian opium: on the financial and political dimensions of the phenomenon), Годишњак за социјална историја (Yearbook of Social History), vol XVI no. 3, Belgrade, 2009, pp 69-79. ^ "Macedonia's Output Drops for Entire Year". Retrieved 3 March 2015. ^ "Macedonia PM Vows to Repay Private Sector Debt". Retrieved 3 March 2015. ^ "Serbia, Bosnia Rank Low on Economic Freedom Index". Retrieved 3 March 2015. ^ "State Statistical Office of the Republic of Macedonia". www.stat.gov.mk (in Macedonian). Retrieved 23 July 2017. ^ "USD to MKD Exchange Rate". Bloomberg.com. Retrieved 23 July 2017. Wikimedia Commons has media related to Economy of North Macedonia. The Economy of Kosovo is a transition economy. Kosovo was the poorest province of the former Yugoslavia with a modern economy established only after a series of federal development subsidies in 1960s and 1970s. During the 1990s abolition of province's autonomous institutions followed by poor economic policies, international sanctions, little access to external trade and finance, and ethnic conflict severely damaged the already-weak economy. Since the declaration of independence in 2008 Kosovo's economy has grown each year, with relatively low effects from the global financial crisis; while there are many weaknesses for its potential in the future, many of them related to its internationally disputed status, there are also potential strengths, including its very low level of government debt and future liabilities and the strength of its banking system. Kosovo remains one of the poorest areas of Europe, with as much as 45% of the population living below the official poverty line, and 17% being extremely poor according to the World Bank.